Most historic tax credits and grant programs from the local, state and federal government, require that your property be located within a historic district or that a property is individually designated as a landmark to be eligible for these financial incentives. Historic districts can be designated by the National Park Service through listing on the National Register of Historic Places. Baltimore’s Commission for Historical and Architectural Preservation (CHAP) can also designate historic districts, typically known as CHAP districts. CHAP provides a list of all historic districts in Baltimore City with a short descriptions of the architecture and history along with a map for each district. When is “design review” required within a historic district? Any permitted exterior work on any building within a local CHAP district requires design review and approval by Commission for Historical and Architectural Preservation staff or commission. 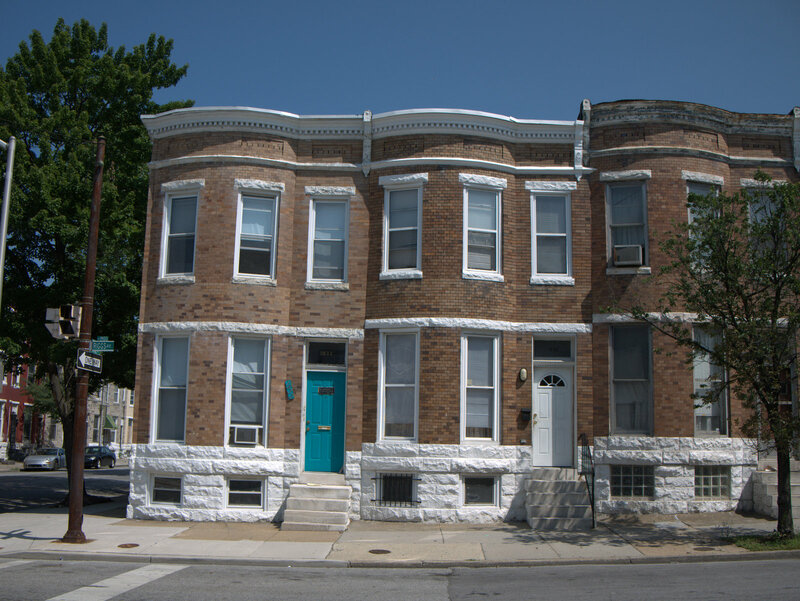 Read the Baltimore City Historic Preservation Design Guidelines (December 2015) for more information about the requirements for local districts. Design review is also required in neighborhoods, like Roland Park and Guilford, where architectural covenants are attached to the deed for the property. If your individual property has an easement from the Maryland Historical Trust, you may be required to go through a separate design review process. What is a “contributing” or “non-contributing” resource? Contributing resources are houses, churches, commercial structures or other buildings that add to the significance of the district. Non-contributing resources do not add to the significance of the district. You can usually expect that anything built 50 years or before within a historic district is contributing and anything built more recently is non-contributing. For example, our office at 11 1/2 W. Chase Street (built in the 19th century) is contributing to the Mount Vernon CHAP District but the 1965 apartment tower at St. Paul and Chase Streets is non-contributing. How do you find out if a property is located within a historic district? Open Baltimore CityView. Type your address into the “My Location” search box then select “Landmarks & Historic Districts” from the Thematic Overlay menu. Select “CHAP Historic Districts” from the Thematic Overlay menu. In the pictured example, 11 West Chase Street is located within the Mount Vernon CHAP District. 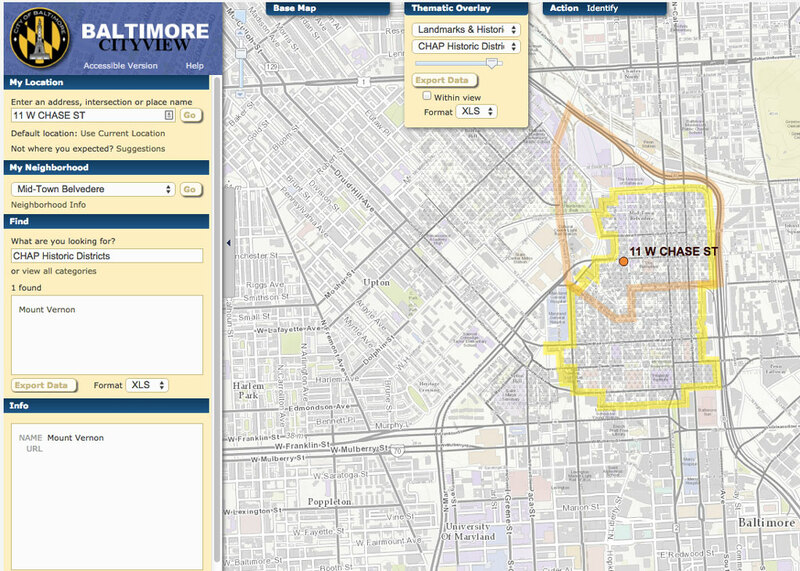 In addition to Baltimore CityView, you can also find the boundaries of local and National Register districts on this this map of Baltimore City historic districts.